Now, more than ever, optimizing customer experience should be a #1 business priority. Today’s customer expectations are continuously on the rise, and a positive online experience could mean the difference between a conversion and a lost customer. But what exactly are customers’ expectations today, and how have they evolved in recent years? Here are some important trends and statistics to keep in mind - and how to keep your business on the right track. “79% of consumers want brands to demonstrate they care before considering a purchase,” (Wunderman). 75% of users, “have used comparison services for consumer goods, and trusted online reviews as much as personal recommendations,” (McKinsey). “The next generation of people (those born between 1995 and 2010 who account for 27% of the world population) is entering the workforce and has spending power. They are less inclined to trust companies and brands, expect to be heard and involved, are quick to switch preferences and seek out employers and brands that offer authentic and transparent experiences,” (Gartner). “Organisations with a poor omnichannel strategy retain just 33% of customers. Brands with effective omnichannel engagement programmes keep 89% of customers,” (Aberdeen Group). SEE ALSO: DOES YOUR SITE MEET THE ULTRA-HIGH EXPECTATIONS OF MILLENNIALS? “Fifty-six percent of CIOs in Gartner's CIO survey indicate they are adopting cloud as either an option or as part of a "cloud first" approach, while 71% look to SaaS either first or as an option,” (Gartner). “For 75% of B2B organizations and 40% of B2C organizations, customer experience management is still an immature capability with a fragmented, uncoordinated approach and no clear leader,” (Gartner). 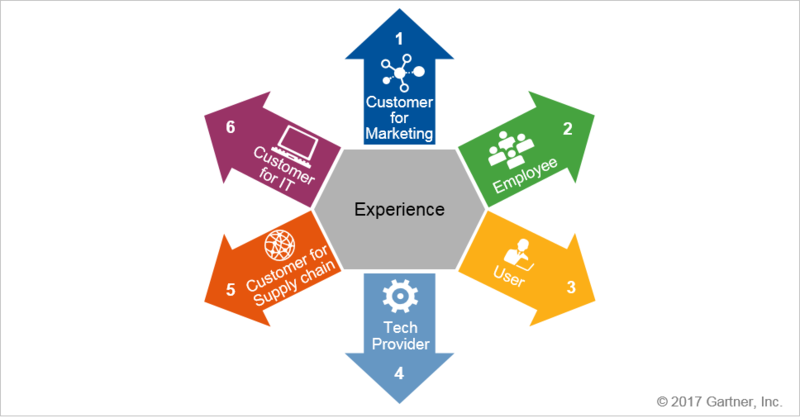 “Organizations recognize the need to take action regarding customer experience; yet, 75% of B2B — and 40% of B2C — organizations engage in isolated, bottom-up initiatives, often with little data other than an innate sense that something is not quite working and needs to be fixed,” (Gartner). 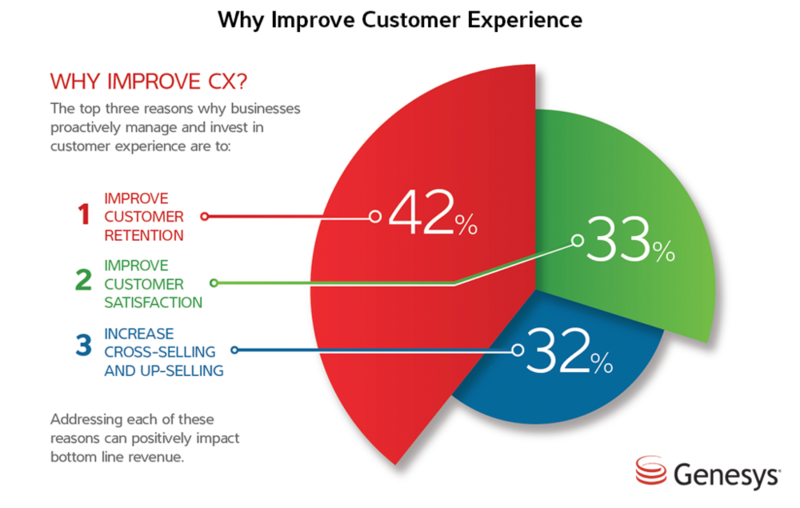 “32% of B2C CMOs see improving customer experience as a top three objective. The figure stands at 23%for B2B,” (Forrester). “Only 27% of companies believe they offer service that is superior to their competitors. That means nearly three-quarters of companies do not exploit the customer service function as a direct access route to customers to gauge satisfaction and improve the overall customer experience for competitive advantage,” (Gartner). “We estimate that the AI techniques we cite in this briefing together have the potential to create between $3.5 trillion and $5.8 trillion in value annually across nine business functions in 19 industries. This constitutes about 40 percent of the overall $9.5 trillion to $15.4 trillion annual impact that could potentially be enabled by all analytical techniques (Exhibit 4)” (McKinsey). “Artificial intelligence will be a mainstream customer experience investment in the next couple of years. 47% of organisations will use chatbots for customer care and 40% will deploy virtual assistants,” (Gartner). “Disruptive technology, such as bots, virtual reality (VR), augmented reality (AI), wearables, voice activation, the Internet of Things (IoT), virtual personal assistants (VPAs), artificial intelligence (AI) and analytics, will enhance and become integral parts of our day-to-day customer, employee and other users' experiences,” (Gartner). “Since user experience (UX) plays such an important role in any digital strategy, we see many industries — especially the ones that are furthest along in digitalization — building up substantial internal capabilities rather than relying on external help,” (Gartner). “By 2020, we believe that more than 40% of all data analytics projects will relate to an aspect of CX, that AI will disrupt the jobs of 1 million phone-based customer support agents, and that 10% of B2C first-level engagement requests will be taken by virtual customer assistants (VCAs), up from less than 1% today,” (Gartner). “By the year 2020 customer experience will overtake price and product as the key brand differentiator,” (Walker). For more information on customer experience and how to use AI to your advantage, contact us today. AnswerDash's predictive Q&A engine enables companies to embrace the future of technology and empower their users with the right information in the right place at the right time. With AnswerDash, businesses can transform their digital user experience - on their websites, in mobile apps or via chatbots - while cutting support costs by 30% to 50% and improving sales conversions by 10% to 30%. Learn more at www.answerdash.com.